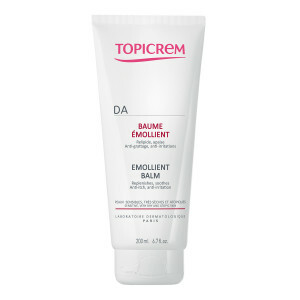 AD EMOLLIENT BALM is specifically developed to meet the needs of very dry sensitive and atopic skin, suitable for babies, children and adults. 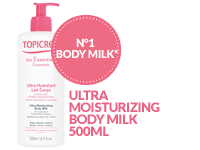 Its fragrance free high-tolerance formula contains flax oil, rich in omega 3 and 6, to intensely restore the hydrolipidic film and allantoin to soothe itching and relieve irritated skin. Its non greasy – non sticky formula : rapidly penetratres. Apply 1 or 2 times daily to very dry areas on face and body. AQUA (WATER) . PARAFFINUM LIQUIDUM (MINERAL OIL) . GLYCERIN . ISOPROPYL ISOSTEARATE . BUTYROSPERMUM PARKII (SHEA) BUTTER . LINUM USITATISSIMUM (LINSEED) SEED OIL . GLYCERYL STEARATE . PEG-100 STEARATE . POLYSORBATE 60 . CERA ALBA (BEESWAX) . PALMITIC ACID . STEARIC ACID . 1,2-HEXANEDIOL . ALLANTOIN . GLYCERYL CAPRYLATE . SODIUM ACRYLATE/ACRYLOYLDIMETHYLTAURATE/DIMETHYLACRYLAMIDE CROSSPOLYMER . CHLORPHENESIN . CARBOMER . TOCOPHEROL . ISOHEXADECANE . SODIUM HYDROXIDE . SORBITAN ISOSTEARATE . HELIANTHUS ANNUUS (SUNFLOWER) SEED OIL .